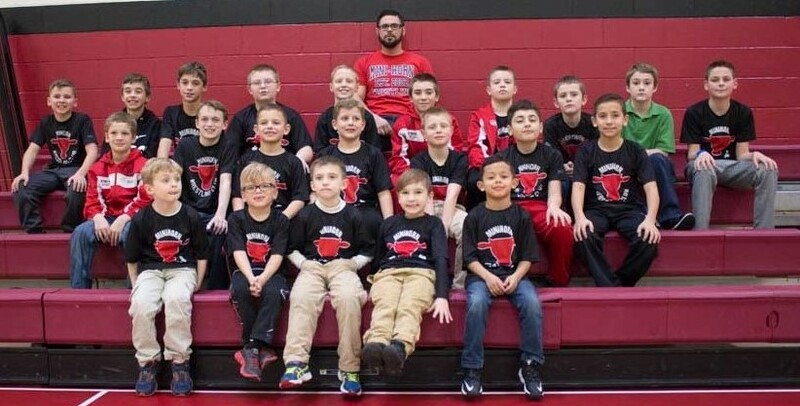 The Minihorn youth wrestling team is an instructional program for boys and girls from K-6th grade, where teaching fundamentals and sportsmanship are stressed. The program involves intra-squad scrimmaging and matches with other area youth programs. Wrestling singlets provided, participants must provide headgear, kneepads and wrestling shoes. Minihorn Banquet is set for Sunday March 31st at 2:00 pm at BW3-Westgate.